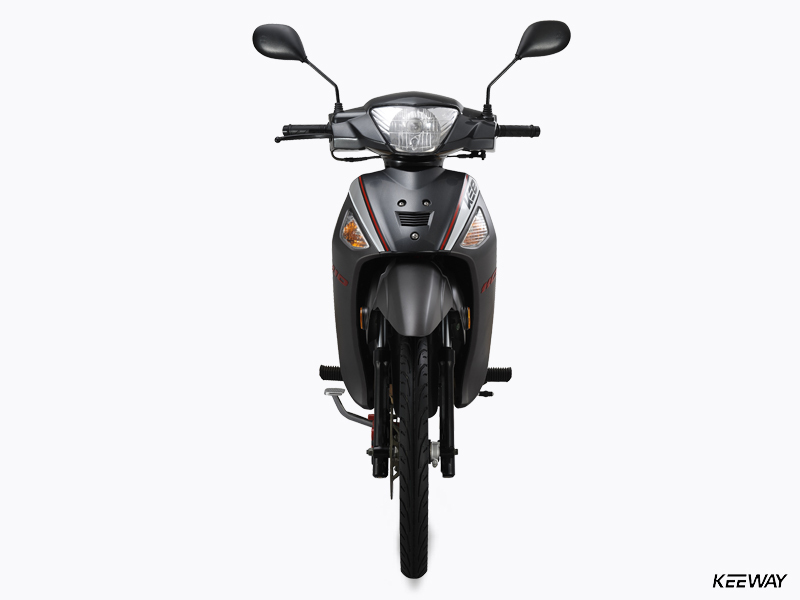 KEE 110 - Keeway Q.J. 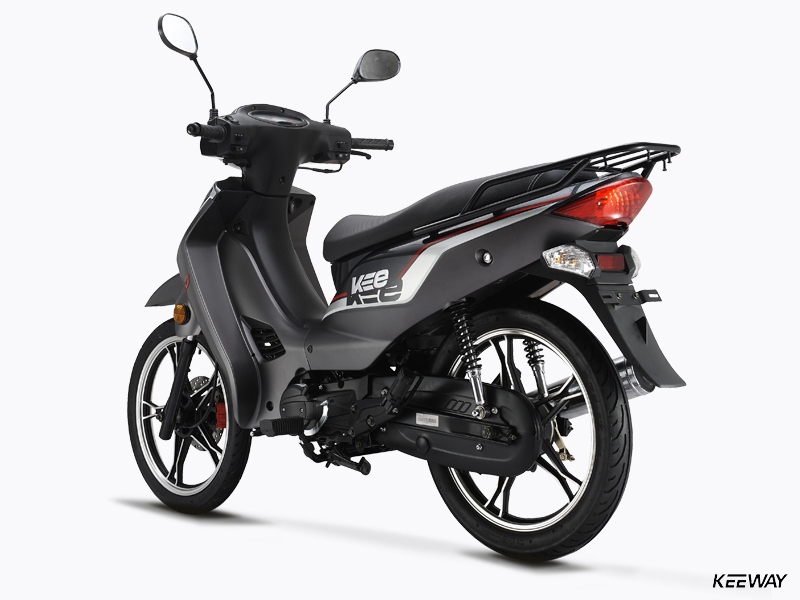 Keeway’s popular Kee 110 is proof that basic and reliable transportation doesn’t have to be boring. Here’s a Cub-class machine that’s not only amazingly affordable, but stylish and sporty, too, with dramatically shaped bodywork and a sport-oriented paint job that looks great at rest or ripping down the boulevard. 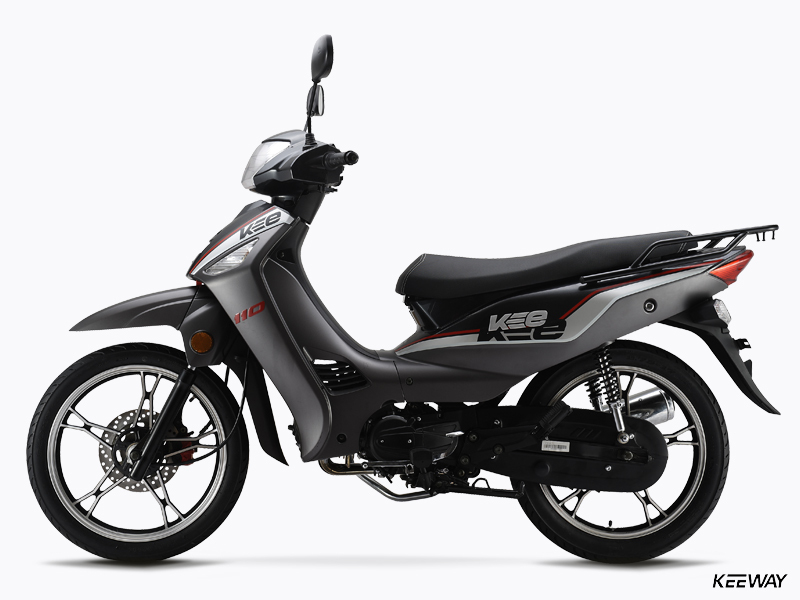 There’s durable performance built into the Kee 110, too, much of which comes from the bike’s 109cc four-stroke single-cylinder engine, which pumps out nearly 7 horsepower. There’s push-button starting and a powerful disc brake up front, too, along with lightweight and strong cast alloy wheels and a handy luggage rack at the back. 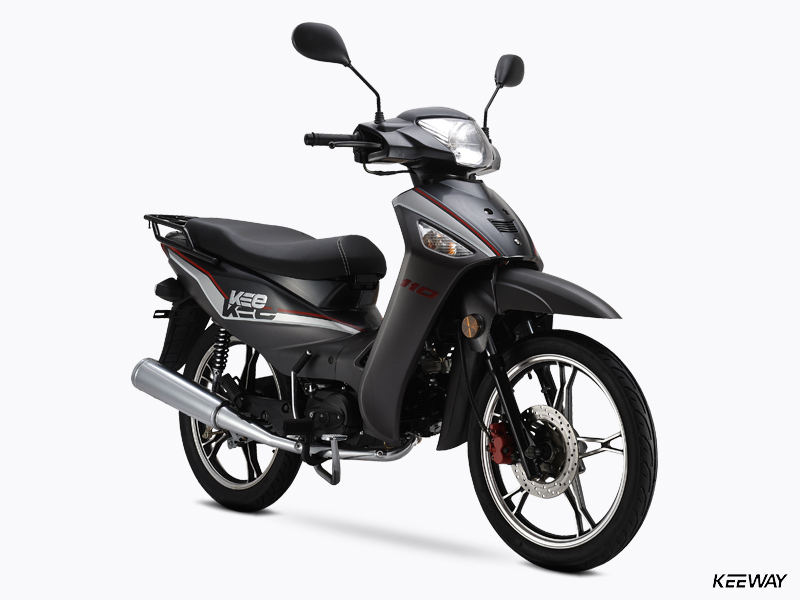 Reliable, practical, sporty and fun to ride … the Keeway Kee 110 is proof that basic transportation can be exciting! 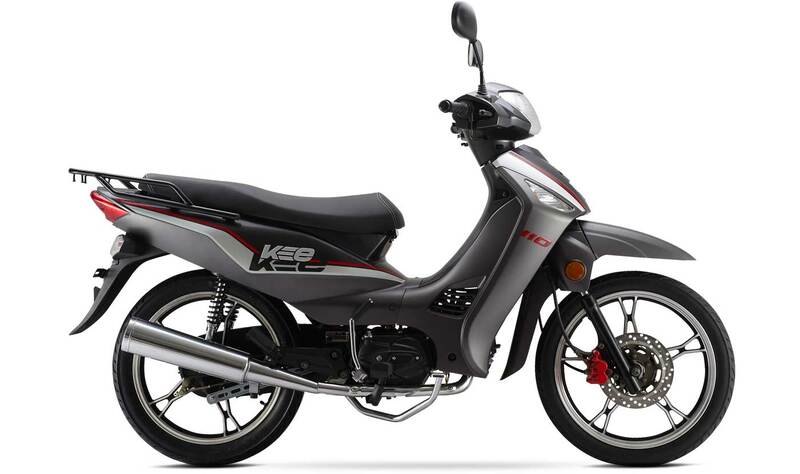 Durable and dependable power comes from the Kee 110’s single-cylinder four-stroke engine, which displaces 109cc and features an SOHC design and reliable electronic ignition. Modern wheels and brakes are fitted to the Kee 110. These include lightweight cast alloy 17-inch wheels and a powerful disc brake up front for quick and secure stops. 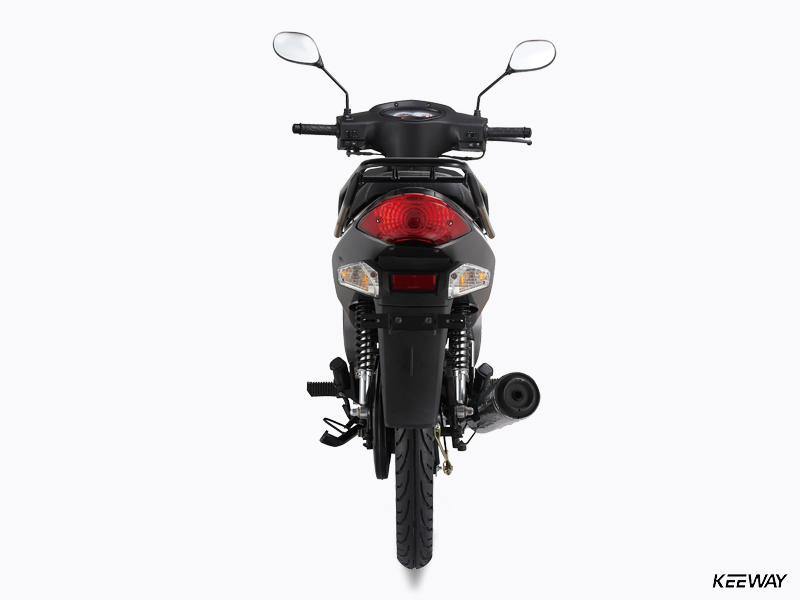 An elegantly styled body is part of the Kee 110 package, with designed-in lighting and plenty of wind and weather protection for rider and passenger. 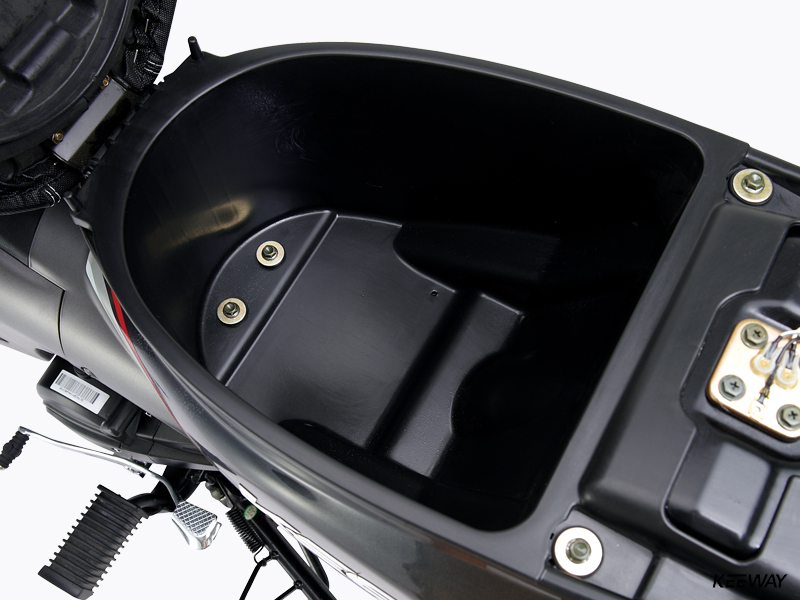 Plenty of underseat storage, can fit everything that all the riders need for his daily trip, even a helmet.